Rollin Street Flats | Cary Kopczynski & Company, Inc.
Rollin Street Flats is located in the South Lake Union neighborhood of Seattle, Washington, where lively workplaces, shops, restaurants, schools, parks, entertainment, and recreation are only a few steps away. Opened in 2008, the architectural design embodies both the warehouse history as well as the emerging high-tech, multi-use future of the area with 10 stories of loft-style residential over 25,000 square feet of street level retail, with two and a half levels of underground secured parking. 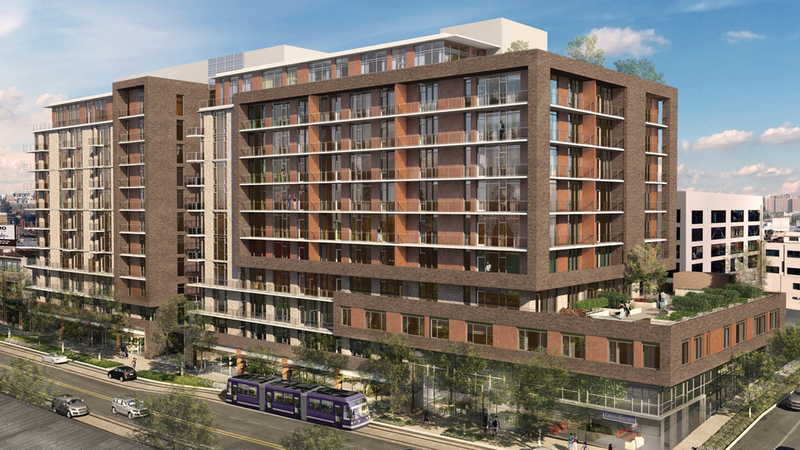 Rollin Street Flats is one of the first residential condominium projects in Seattle to receive the Leadership in Energy and Environmental Design (LEED) Silver certification. The structure consists of a cast-in-place concrete frame with post-tensioned floor slabs. Seismic loads are carried by stair and elevator shear wall cores spread evenly throughout the building. Exterior walls are comprised of a combination of metal stud framing and masonry, with finishes of brick, wood, and metal panels interspersed with engaging floor-to-ceiling glass windows.